Over the weekend, reports surfaced that Eiji Aonuma, the series producer and manager of The Legend of Zelda, had teased The Legend of Zelda: Skyward Sword being ported to the Nintendo Switch at a concert in Japan. Various attendees of the concert took to Twitter to report the tease, with one tweet by Twitter user @enterzalman then spreading on forums like ResetEra. Those reports have now been shut down by Nintendo. “At this time we have no plans to release The Legend of Zelda: Skyward Sword on Nintendo Switch,” a Nintendo spokesperson said on Wednesday in a statement issued to Eurogamer. This will come to the disappointment of many fans who became excited following the tease. 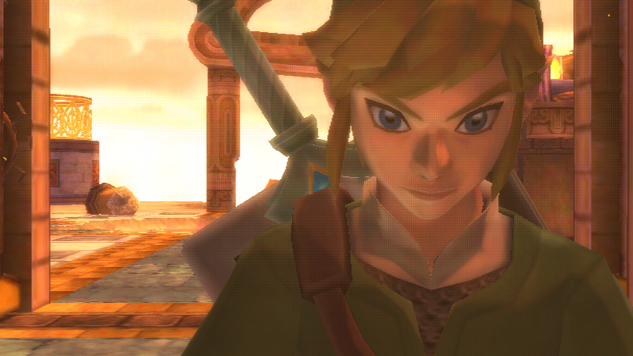 We reviewed the Wii port of The Legend of Zelda: Skyward Sword back in 2011, lauding it as a well-crafted and beautiful entry worth playing, despite not bringing many new things to the series. It’s safe to expect a new Legend of Zelda game in 2019; since 2013, the series has seen at least one annual release. Wind Waker HD and A Link Between Worlds were released in 2013; 2014 saw the release of Hyrule Warriors; Majora’s Mask 3DS and Tri Force Heroes were released in 2015; Twilight Princess HD was ported to the Wii U in 2016; and Breath of the Wild, the best-selling and perhaps most critically acclaimed entry in the series yet, was released in 2017. However, it’s also safe to say that it won’t be a Switch port of The Legend of Zelda: Skyward Sword.